Halloween really feels to me like the kickoff to the holiday season. Let’s get right to the point and call it what it really is: The Holiday Season of All Things Sweet and Tempting. There is good news; you can still be healthy and enjoy some holiday treats. There are many things I have learned and here is an important one: You don’t have to enjoy every single holiday treat that comes your way. Pick and choose the stuff that is worth it! Let’s just focus on the upcoming celebration of Halloween. The truth is, most manufacturers are only out to make money. Unfortunately, when it comes to food products, this hurts more than just your pocket book. They don’t care about quality or your health; they care about how inexpensively they can make a product and how much they can still sell it to you for. Over the years, most ingredients have changed. More sugar, in many different forms, has been added, cheap fillers have been popping up and the things that are sold and fed to us are becoming less and less like food and more and more like a chemistry experiment. 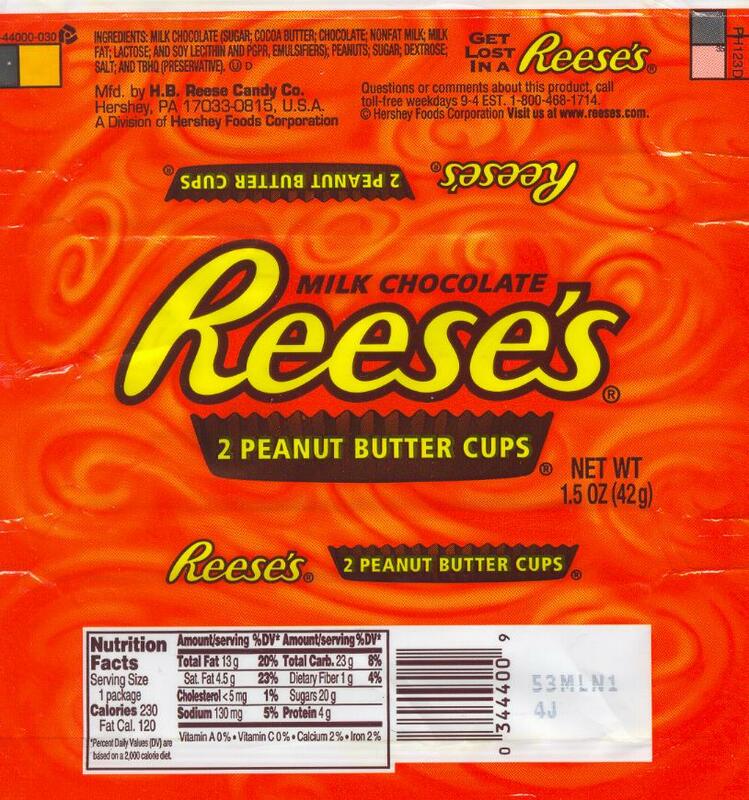 Let’s take a look at one of my old favorites: Reeses Peanut Butter Cups. This doesn’t look too bad at first. Honestly, it is not even as bad as I had expected. The one good thing this candy has going is that there is at least no high fructose corn syrup in it. But what happens when we break down what’s in it? Granted, a lot of this is inconclusive and when you see sentences that include “open to” and “linked with” it means that the verdict really is still out on this stuff. There are many reasons for this…such as how most of these food-like substances are still new; making long-term effects undetermined. You also have to think about how many things there are in this world that are linked to something like cancer. To pinpoint one cause of cancer would be nearly impossible. As far as food is concerned, what we eat is supposed to nourish us; it is supposed to make us feel good. It is supposed to come from nature, which means food is supposed to spoil. It is a living thing that feeds our living bodies, to helps us to live better. All of these preservatives that are added to make food last longer on a shelf? Well, when I start having to break down the alphabet in my food, I become hesitant to put it into my body. There are so many questionable things in this world that are out of our control, but we CAN control what we put into our mouths and the mouths of our children. Now I swear I am not out to ruin Halloween. 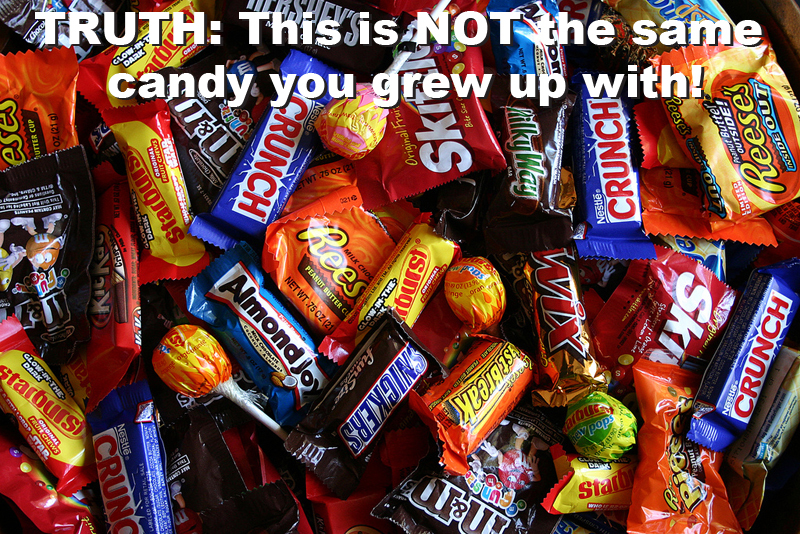 I have no plans to be the mom who will never let my kid trick-or-treat or eat candy. One night here and there is not a big deal. My personal opinion is that the poison really is in the dose. It is when these things become part of routine, or even a regular reward that the problems begin. I have a strong passion and firm belief that the answer to correcting the healthcare crisis is in our children. In order to change our broken system and help turn the health of America around, we have to start teaching our children the correct path. We have to change the reward system! Am I saying to hand out apples this Halloween? Of course not. Nothing screams “Please TP my house” like an apple on Halloween. I usually spend about $25 on Glo-Stix and Silly Putty and most kids get really excited about this. It’s fun, and it doesn’t break the bank. Stick with just Glo-Stix and you can get away from the dollar store for super cheap. 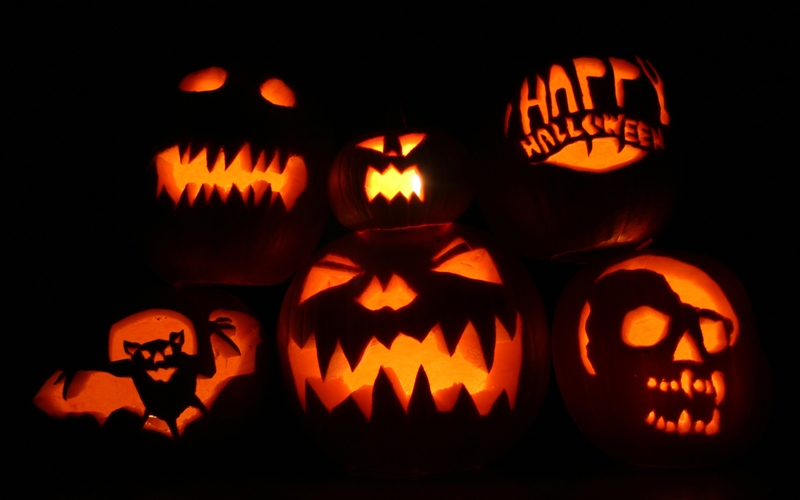 Plus, kids get enough candy, so something different stands out a bit. To conclude here today, I want to step away from the treat topic and focus for a minute on the children. I mentioned above how I think we need to change the reward system. This is something I strongly believe in and want to elaborate on. Just getting kids to eat their vegetables is not enough anymore. We live in a generation where for the first time in history parents have a longer life expectancy than their children. It does not have to be this way, and we have the power to change it! Birthday parties today don’t just mean cake. The last kids birthday party I went to included cake, ice cream, bowls of several different candies and then a goodie bag full of candy that they sent home with the guests. Sugar, topped with sugar and then some more to take home for later?!? And we wonder why kids have trouble focusing in school… I promise, if you put a birthday cake on a table and surround it with fruit and veggie trays, maybe some snack sized meatballs or a meatza, (meat pizza = best invention ever) NO ONE will miss the bowl of M&Ms or the goodie bag of candy. Why? 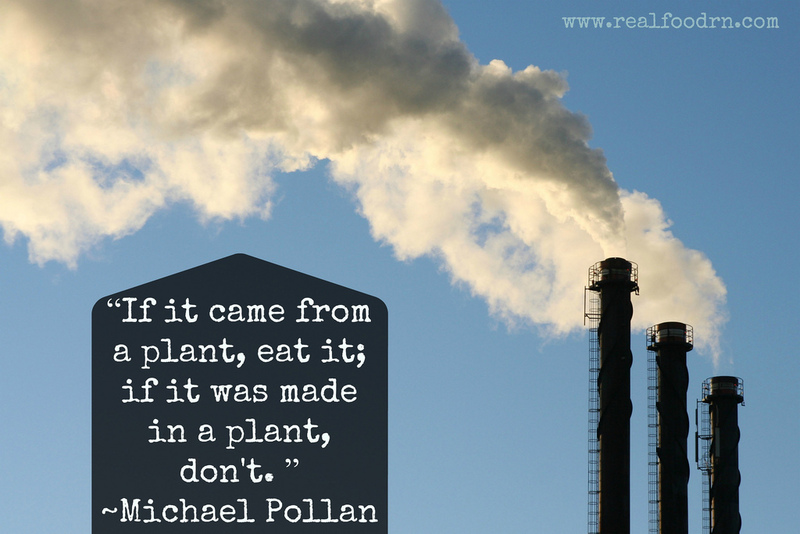 Real food tastes good! Plus most kids have more fun with balloons and playing together anyways. Help children learn where their food comes from, who grows it, and why it’s important to share meals with friends and family. This leads right into growing your own food. I am writing this from the Midwest and suspect many of my readers are from the same area. The soil here is awesome. I barely have to pay attention to my garden. Create your own reward system. I plan to treat Charlie to things she enjoys doing. Good grades may mean a day trip to a water park or a mani/pedi. Kids don’t need a treat, they need time with you. Create an experience with them! Keep yourself educated. There are TONS of books/podcasts/blogs out there with GREAT information and thanks to the World Wide Web, it is available with a few quick key strokes. Play games. More and more computer and video games are incorporating food, like DooF (the word ‘food’ backwards), a combination of computer games, videos, and a website where kids can read and learn about food-related topics. DooF takes a comprehensive approach to food, exploring not only the food itself, but also the culture, science, and history behind it. Kids can play “Planet DooF,” geared toward teaching children the origin of healthy food, such as fruits and vegetables. Encourage kids to try something new, all of the time. If they don’t like something one week, try again. They are still growing, their taste buds are changing every day! Preparing it differently helps too. Plain steamed cauliflower doesn’t even smell good. If you steam it with some garlic, throw it in a food processor with some butter and salt to make a mash…then you have a whole different thing going on. Include kids in meal planning. I bet if a child picks out a pretty red bell pepper at the store, they will be more inclined to eat it when they get home. Create shopping lists together, take trips to the grocery store and the farmer’s market…this will help them understand the process of where food comes from and what goes into getting a meal together. Establish family meal times. This is something I REALLY want to get better at in my own home. I had some wonderful memories of everyone taking their place at the table when I was growing up. My mom used to make us share one good thing about our day over dinner. I was always annoyed about it at the time and now I miss it! This is just a start…just the opinions of one person. The possibilities are endless! As always, I hope this helps. And if you have hung with me this far, I hope that means you found something that you can try for you and your family. I have a strong passion for nutrition and nothing but a desire to give this face —-> the best possible start to her life! ← 100 Days of Gratitude…30 down!